Honestly, I wasn't sure about this one at first; it looked a little dated and, admittedly, I took a break here and there to watch other anime... but having finished it I find myself wishing for more. It's not perfect, but it's definitely worth watching. This is an absolutely fantastic series, while the general theme may seem overused, don't let that put you off. 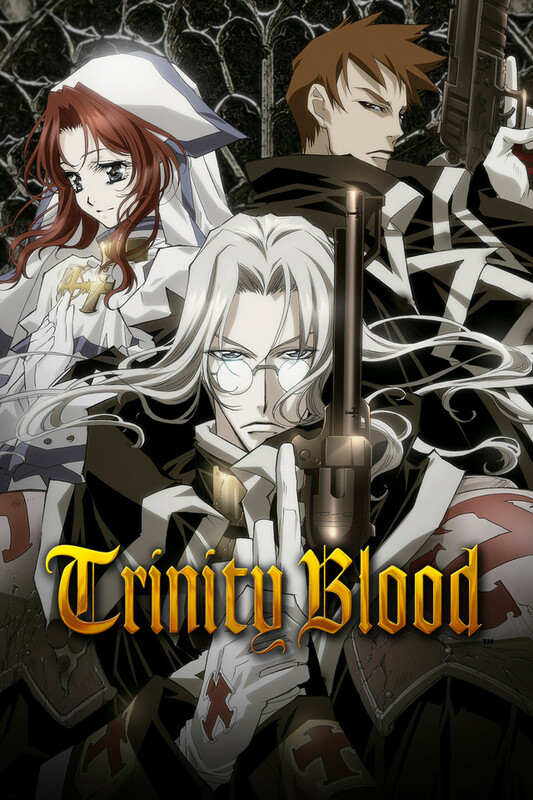 Trinity Blood, is much like a mashup of Hellsing and Vampire Hunter D, with of course, it's own twists and smattering of originality. The scoring with this series is just exquisite, if for no other reason, it warrants giving this a watch. This is an excellent anime action/horror series set in the apocalyptic future. The series is also great for the October month (close to Halloween), or any month. Like I said before, I have an interest in ghosts, werewolves and vampires - the key theme for the show. And you know, to me both Father Havel looks like Viggo Mortensen's Aragorn, and Father Leon looks like Hugh Jackman's Van Helsing. In the series, I was surprise the Vatican had survived for over 900 years. When I saw that the Lady Caterina is a cardinal and Esther's (the heroine) mother-figure Laura Vitez is a bishop, I thought: "can a woman be a cardinal or a bishop?" I had gotten confused, so I had asked my grandmother, because she knows about such things about the church. My favorite episode from the show is episode two, where Father Abel and Tres meet a little girl named Elise Wasmeyer, who has telepathic powers and the ability to take over people's minds. So anyway, I really love this series. Holy Nostalgia! Been a while! It's been a really long time since I watched this. What I can say is that I remember liking it at the time but I wouldn't have said it was perfect. What is perfect is the soundtrack. I still listen to songs from the ost to this day and it's been like forever and a day since it came out.